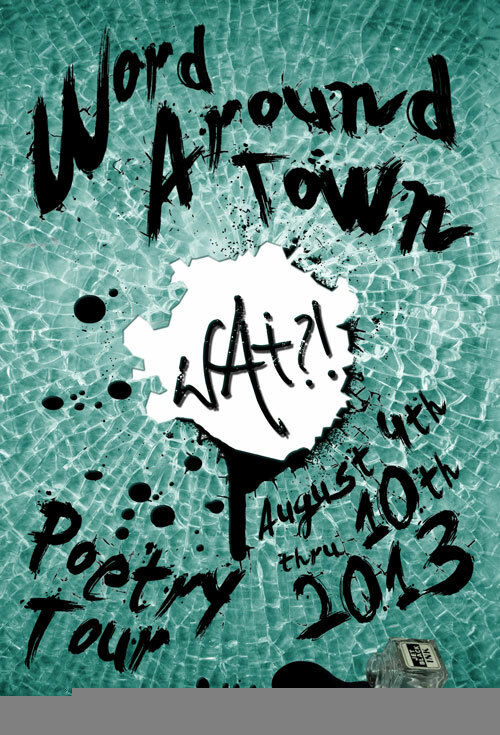 “The Word Around Town (WAT) tour is an annual week-long poetry marathon held in Houston at different venues each night of the week. The marathon goes from Sunday, August 4th until Saturday, August 10th. That is seven days, seven shows, and seven different venues! For the complete list of poets and venues, please visit the WAT website. WITS writers such as Outspoken Bean are among the veteran poets who will perform. See you out on the town!